The Belfountain Salamander Festival celebrates its 22nd year on Saturday, September 29, from 10 a.m. to 4 p.m. If you’re looking for a day of outdoor fun in the countryside, the historic Hamlet of Belfountain offers beautiful scenery, delicious local food and of course, a chance to meet live salamanders. The festival takes its name from the Jefferson salamander, an amphibian native to Ontario. Found primarily in the Niagara Escarpment, the Jefferson salamander has been a protected species under the Ontario Endangered Species Act since 2011 and finds a welcome home in Belfountain. 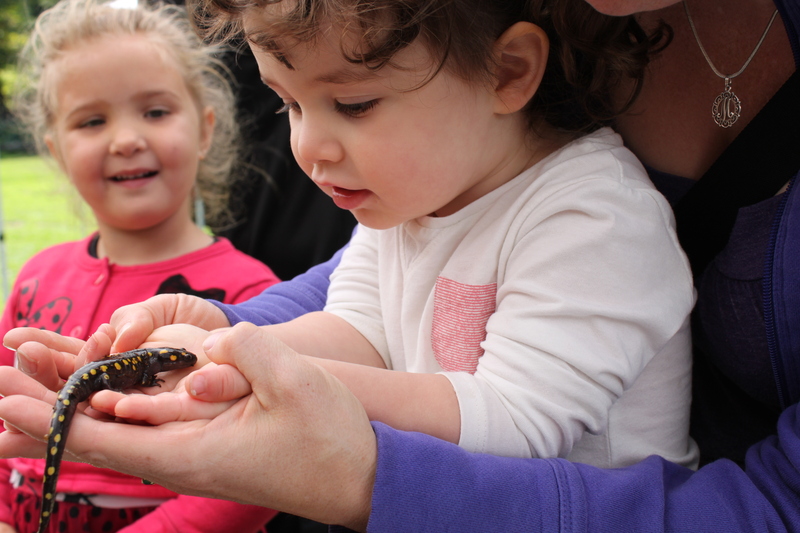 Each year visitors to the festival have an opportunity to learn about Credit Valley Conservation’s (CVC) efforts to protect local green space, the Jefferson salamander and other native species. Activities take place in the Hamlet of Belfountain and the Belfountain Conservation Area. Visitors can enjoy the artisans’ market, live music and local food options in the hamlet. The conservation area features an electrofishing demonstration, the Kids Eco Zone Activity Centre and animal exhibitions by Creature Quest. Be inspired by nature with a quick hike on the trails to enjoy the changing fall colours. Don’t forget your camera! The Salamander Festival is hosted by the Belfountain Community Organization and CVC. It is run in partnership with the Belfountain Village Church, Higher Ground Café, Belfountain Inn, Belfountain Public School and the Town of Caledon. Admission to the festival and the conservation area is free. There is a fee for parking at the conservation area.